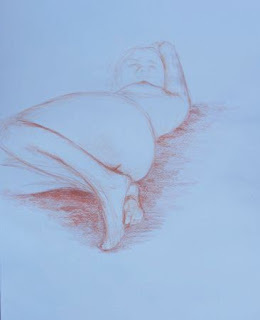 I discovered that I forgot to post these drawings that I did at the SASA life drawing sessions over our Winter holidays. I truly love life drawing and only wish there was a way to get this much needed practice at a more reasonable cost. Very sensitive drawings, Carol! Lovely work! Thank you so much Di, I love doing life ddrawing. Puts me on a high! You did great work on these Carol! 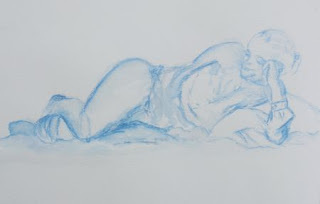 I agree, we need more life drawing. Thanks Liz. 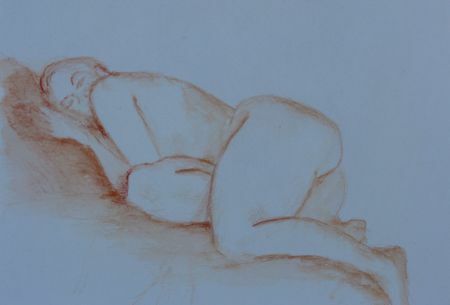 I havent seen any of your drawings posted? If I don't go plein air painting on Tuesday I think I am going to make the effort and try to go to Kork Bay. 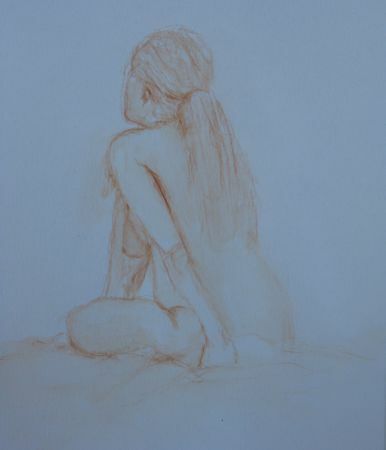 I loved life drawing but have had to make a break from it because it is expensive and was quite an hours drive away - petrol is so expensive here. Anyway, thought I would do more at home drawing nature around me.